On Wednesday, November 22 from 6:00 pm to 6:00 am, use the Promo Code SISAFERIDE on your Uber App for two free rides (up to $15 each). 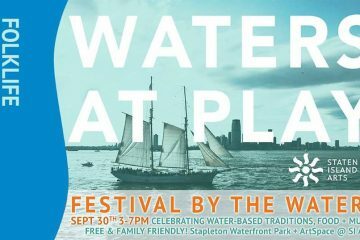 All rides must begin and end in Staten Island. 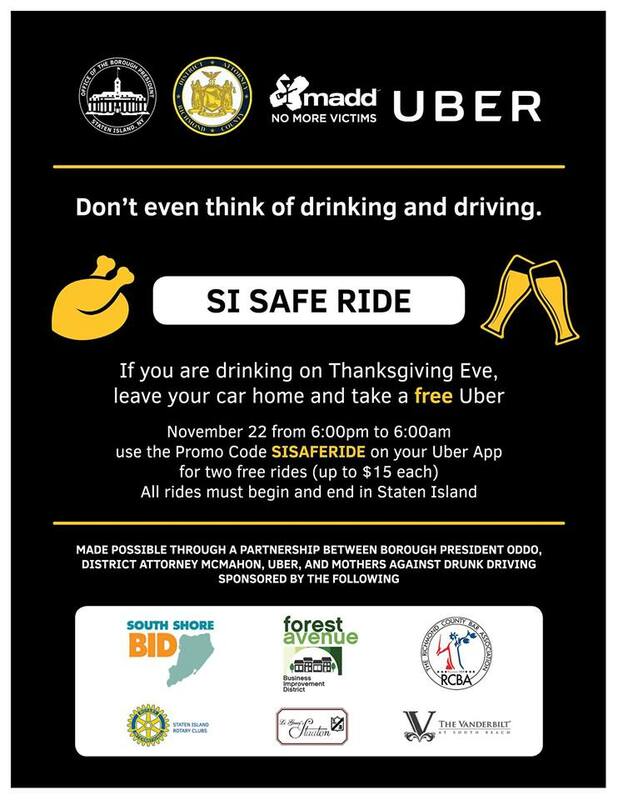 SI Safe Ride is made possible through a partnership between Staten Island Borough President James Oddo, Staten Island District Attorney Michael McMahon, UBER and Mothers Against Drunk Driving. SI Safe Ride is sponsored by the following local businesses: South Shore BID, Staten Island Rotary Clubs, Forest Avenue Business Improvement District, Li Greci’s Staaten, the Richmond County Bar Association and the Vanderbilt at South Beach.